We originally started AuthorityHacker as a blog to share our lessons in building authority websites. However, after seeing the response from our readers, we realised we could turn AH from a blog into a real business. To build a real business, however, you need to control the product. Affiliate earnings are nice, but they don’t give you any control whatsoever over the product itself. 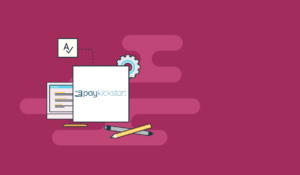 This is why early this year, we decided to move away from entirely relying on affiliate marketing towards building our own products and running a hybrid model promoting tools as an affiliate and education as a product owner. The first product we created was a 5 video course called Double Your Leads. We put together a quick sales page and put it up for sale. Even though the sales page was terrible, we did pretty well, selling a bunch of copies at $20 a pop. This validated our idea that we could actually build a business on top of Authority Hacker and that people were willing to pay to get to know how we run things for our sites. 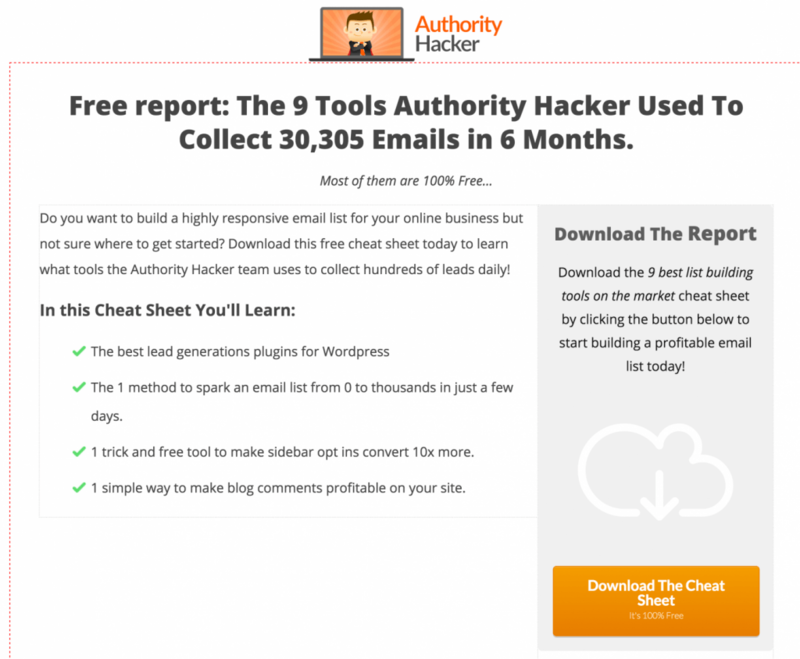 Capture emails through lead magnets. Based on this, we decided to expand our video course to 40 videos, a member area, a member’s only FB group, and timely webinars. All together, we decided to sell it for $297. To capture leads for the offer, we took a part of the course and sold it for $9.95. This was our ‘tripwire’ – the entry way into our sales funnel. We pitched it to our readers, then upsold the buyers our main offer. Altogether in the first 30 days of this funnel, we collected 301 emails which brought in a total of $2,684. By all measures, these are very promising results for a blog as young as ours and only a 300 emails sample list. we made almost 4 times more sales since these numbers were written down but I think the first 30 days were the most interesting. ​In order to give credit where it’s due, I must say that the customer value optimisation funnel by Digital Marketer has been a big inspiration for how we set things up. Until a few years ago, setting all this tech up used to be a huge hassle. Fortunately, there are now a number of products that will handle this for your. 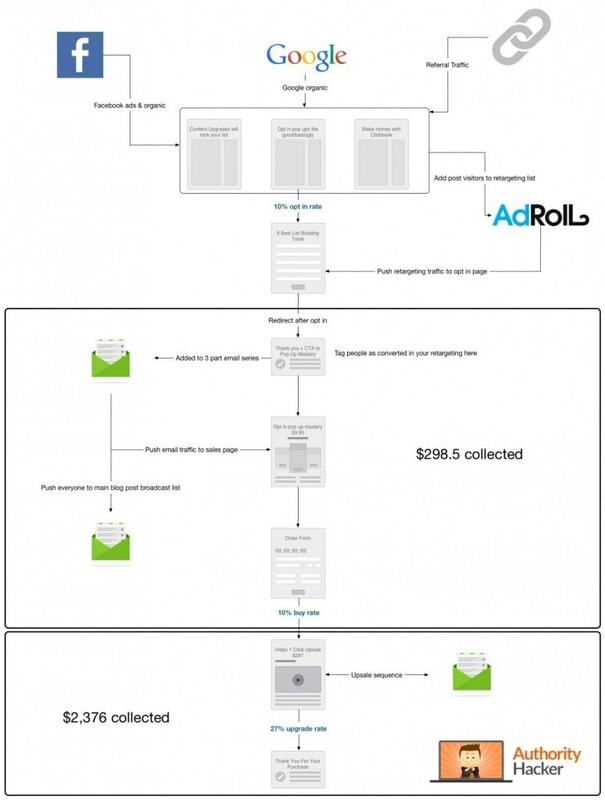 Clickfunnels took care of all our sales page generation and shopping cart integration needs for this case study. It’s NOT cheap but it replaces a lot of tools that you would need to get things up and running. We used it to create the entire sales funnel, and probably saved dozens of hours in the process. The pre-built sales pages are slick and well optimised. Plus the designs look pro and not cheesy like a lot of competing products. Disclaimer: We since moved away from ClickFunnels mostly because of the membership platform change and the much better shopping cart Membermouse offers but this was a great way to get it all up and running initially and I still wholeheartedly recommend it. Stripe is the ​payment processor of choice for most startups these days. This ‘unicorn’ (it was last valued at $5Bn) is easy to get in, easy to setup, and will make you forget all bad memories of Paypal. On the downside, at 1.8-2.8% of the transaction, it definitely wasn’t cheap. But for us, the convenience was worth the price. It’s worth noting that a lot of potential customers asked for paypal payment because they wanted to use their Paypal balance to pay for the product. When we did open both Stripe and Paypal, sales went up so consider running both in parallel if you are going for a similar setup to ours. This is where we made a big mistake (and learned a lot in the process). We’d seen Wishlist Members promoted heavily by a lot of bloggers who now seem to either have low standards or haver never used the tool at all. Their sales page looked quite slick as well. So we bought into the hype but regretted the decision within days. Member management, subscription etc lacks of any management options. I actually challenge anyone to run a real membership site efficiently with this solution. Honestly, we burned our fingers with this one. It’s promoted a LOT, but it’s just not worth the hype. I don’t care if their affiliate program pays more than anyone else in this niche, I won’t even link to it, DON’T BUY WISHLIST MEMBER. The lead magnet and tripwire are the two most important cogs in this sales machine. Whether you can get people to sign-up for your lead magnet/tripwire will decide your success rate in selling the upsell. 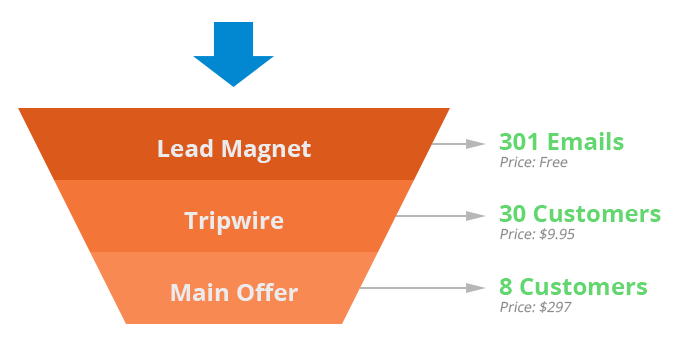 The first step in our sales process was to capture leads for our tripwire product. For this, we needed a quality lead magnet. Real world results. Instead of saying “these tools are great”, we tell visitors that we’ve actually used these tools to ​capture thousands of emails. Curiosity. We deliberately used curiosity-generating copy, such as “1 trick to make sidebar opt-ins convert 10x more”, etc. Surely, you would want to know what this trick could be? ​Evergreen topic. Lots of people are interested in learning about tools to help them work better. “Marketing tools” alone has over 7.8M results. Market fit. Our readers are mostly beginners and intermediate marketers. While advanced marketers usually already have a set of tools they rely on, newbie marketers need more handholding in selecting the right tools. Our lead magnet fits their needs perfectly. Free tools. We know that not all our readers have bundles of cash sitting around for expensive purchases. This is why we made sure that more than half the tools in the list were free to use. Our landing page is nothing fancy, but it gets the job done. Strong headline. The first word is ‘Free’, which is one of the most powerful catalysts for conversions. The headline also mentions our own real-world results. Simple content checklist. Not only is it easy to read, but it also has conversion oriented copy that generates curiosity. A well-crafted product image helps as well. CTA. Our download button doesn’t just say “Download”; it also mentions that the cheat sheet is 100% free. Combined, this helped ​us get a lot of emails with relatively little effort. ​This page is the page on which you land right after you’ve opted in (you get redirected). Our tripwire was a $9.95 product. It’s not free like the lead magnet, nor is it a $500 product that needs a lot of pre-selling and a lengthy sales page. Keeping in mind the price and the target market, we decided to do a simple video sales page. We kept the video intentionally short – nobody wants to watch a 20min video just to download a $10 product. Granted, it’s extremely simple, but it works. This is a simple, but effective way to bridge the lead magnet with the tripewire. It catches them at a moment when they’ve already given up their email, and thus, are more likely to convert to another offer. Most people, however, don’t approach video right. They usually want their videos to look extremely slick which drastically increases conversion costs while not really thinking the sales messaging through. 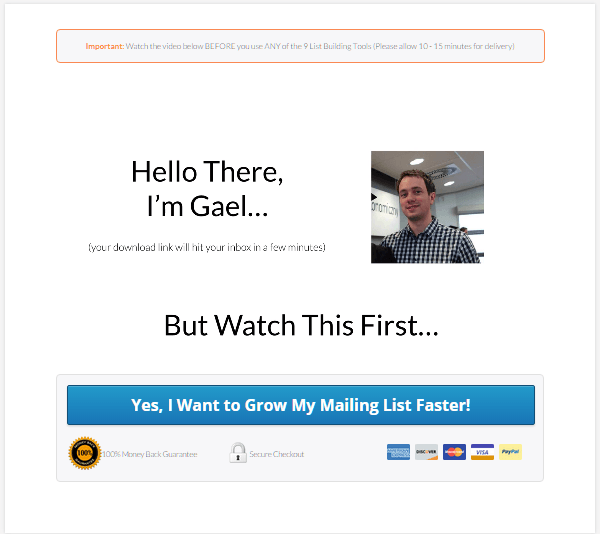 We decided to use a very short video (under 10 minutes) on our own sales page. The production is also extremely basic (Powerpoint) And instead of talking about theoretical concepts or selling the product, we simply decided to walk the viewer through our own results. We also decided to start teaching them some of the concepts so the sales process brings value to them as well and the people that would be reeled in would want to buy the product to get more. It keeps the viewer interested. Unless you have the on-screen charm of George Clooney, your viewers will get bored in a 10 min+ video. It’s much smarter to get your message across as quickly as possible. It shows instead of telling. Many marketers make videos where they tell viewers about all the amazing results they can get with a product. We chose the opposite route – we showed our results on-screen. This gave us our high conversion rates. You’ll notice there are no fancy columns, icons and other distractions on the page. It’s literally a video followed by a CTA. Well-qualified buyers. People who see this page have already signed-up for a lead magnet. They don’t need a hard sell with multiple value points in a long sales page. The CTA button is the single largest element on the page. The CTA uses action-focused copy “Yes, I want to grow my mailing list faster”. This results in better ​conversion rates than purely descriptive copy. Another thing that can’t be shown in the screenshots is that the buy button only appears at the end of the video. Making it look like content up until we ask people for money and announce the price. Building up Authority Hacker’s audience and selling our first major info product has been an incredible learning experience. We have not made millions from it yet but the conversion rate, customer feedback and enthusiasm is exciting. We built AH to share our lessons in creating authority sites. Somehow, we managed to build a community of amazing people around the site, people who loved, used and benefited from our content. Launching our first paid product was slightly unnerving. People loved our free content, but what if they thought our paid stuff was not worth the price? Would we risk our reputation? Our community? Our fears were unfounded, of course. Turns out, people are more than willing to pay for quality content. We had just 1 refund in our entire run – an amazing figure in this industry considering the fact that at the time at which I’m writing this article we’ve sold over 100 pop up mastery copies. You can probably push monetisation further than you think and your audience won’t mind. Lead magnets in post and via broadcast are a powerful way of segmenting your audience. The reason we achieve such earnings per email is because people opted in that sales path and already stated their interest in the topic. If you were to launch a brand new site tomorrow, would you get the same results from 301 emails? We owe our success largely to the quality of our community. Sure, our content was top-notch, but without the fan base, our results would be radically different. We got such a high conversion rate because we pitched our offer to our existing audience. When we tried selling the same offer to cold FB traffic, conversion rates were 2-3 times less (more on that in a minute). Build a platform that people love. 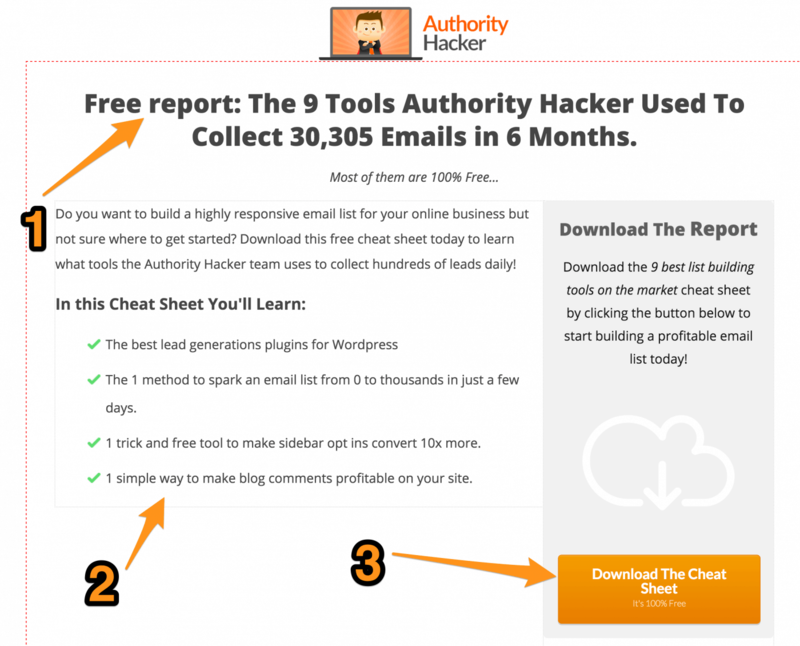 Our conversion rates were high because we already had a lot of fans who loved Authority Hacker. Give before you take. We managed to build a community because we never bothered with monetization. Our first concern was, and still is, to give value to our readers. Facebook ads can work really well, While they’re technically outbound marketing because it’s paid placement, Facebook ads are incredible at helping you reach your audience. This is something we’re still working on. You’ll see an update soon enough. If you take a look at our results, you’ll notice that nearly all our revenues came from our core offer upsale. Our conversion rate from tripwire to core offer was nearly 26%. For a product priced at $297, that’s absolutely insane. Quality product and authoritative brand. Our product was top-notch and people had faith in the AH brand (thanks to our free content). Highly qualified buyers. Instead of targeting everyone, we pitched this product only to people who had already downloaded a lead magnet and purchased the tripwire. This meant they were highly likely to be interested in an upgrade. Smooth upgrade process. Buyers could buy the core offer with a single click. This reduced friction dramatically and helped us sell more. I will go as far as saying that I don’t really care about tripwire income (but I care about the customers!). Those are merely here to give a good reason for people to become a customer even if it makes you no money so you can follow with profit boosting complementary offers. The results from this experiment have been encouraging to say the least. We learned that people are willing to pay a lot of money for quality information, provided we setup the funnel correctly. In the near future, we’re going to shift our focus to the membership offer. We believe it gives a lot more value to our readers at a price point everyone can afford. Opt-in pop-up mastery is going to become a tripwire for our larger membership course. The $297 upsale with Double Your Leads is going to be replaced with our membership. If you have already purchased Double Your Leads, you are going to get a LOT of value in the near future. Needless to say, the next few months should be very exciting indeed! Before we leave, there’s one more thing we want to talk about – our Facebook Ads experiment. ​So far, we have been using our own organic traffic to capture leads and push them into the funnel. While this is great for conversions (and basically free at this point), it isn’t exactly scaleable and just lacks of control. We figured if we could get strong conversion rates from Facebook Ads, we could make a LOT more than $2,684. 1. Created a test ad to our post on making money through Clickbank in 2015. 2. Split test the ad through AdEspresso to get best CTR. AdEspresso offers a free trial and comes highly recommended for any serious FB marketing. 3. Pushed our blog post to cold FB traffic (people who never heard of us). Given the conversion rates with our tripwire and sales, we’re pretty much break even at this rate (the cold leads converted roughly 3x less than our solid fanbase). Right now, this isn’t really profitable for us and the scale of these numbers is clearly not massive. However, we aren’t making a huge loss either. That we’ve managed to more or less break even shows that with a bit of work, we will be able to make Facebook ads work for us and extend the reach of our brand much faster very soon. Showcase more value upfront, (landing page design, lead magnets etc). 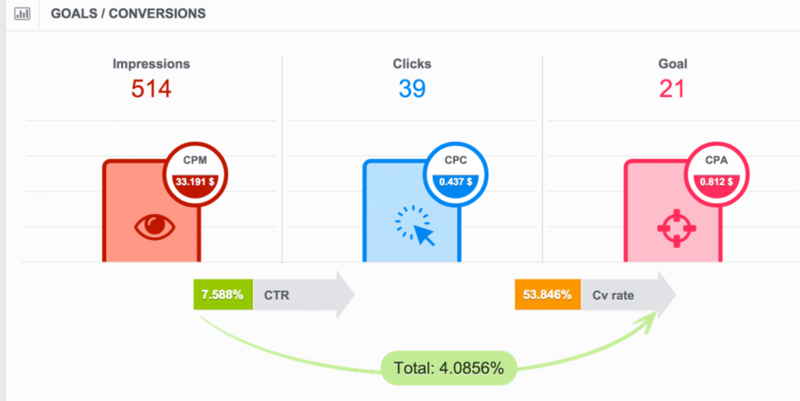 If we can make PPC profitable, we can scale this way faster. This is definitely something we’re very eager to try in the coming few months. Our experiment with lead magnets and tripwires convinced us that there’s a LOT of money waiting to be made if you just get your sales page right. We also learned the importance of setting up the backend right and picking the correct tools. These can make or break your marketing so take your time when setting it all up. Most importantly, we learned just how important it is to build a brand and constantly give value to your readers. The numbers speak for themselves, the people who read us regularly were 3x more likely to buy than the people who barely knew us. It is thanks to you, our readers, that we managed to make this experiment a success. We hope we can continue to give you valuable content in the near future.